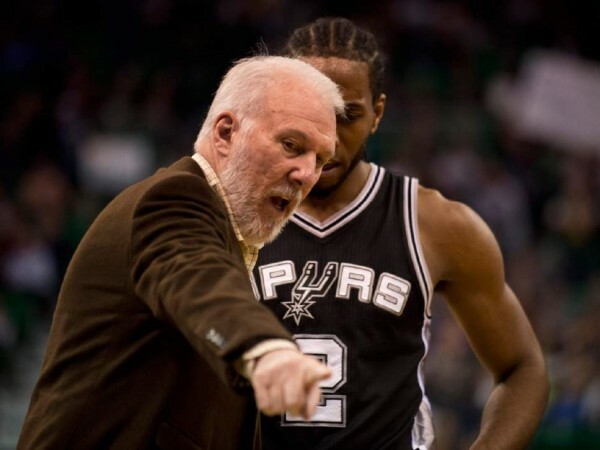 San Antonio Spurs – Time to Worry or Just Resting Before the Annual Big Run? The Utah Jazz beating the San Antonio Spurs 90-81 means the defending NBA champions have lost three in a row since the All-Star break and find themselves in a difficult situation in a tough Western conference. Should they be worried? Or is there no need to overreact, because their annual run of wins through March and April is just around the corner? What we do know is this – The Spurs are currently 7th in the West with a 34-22 record. Since the NBA split the league into conferences 44 years ago, only two defending champions have finished with the 7th seed or lower: The Dallas Mavericks in the 2011-2012 season and the Chicago Bulls after being gutted by departures in the 1998-1999 lockout shortened season. They’re not doing all that bad with a 34-22 record, but something is definitely off. I thought we took a lot of contested shots that we didn’t need to take. I don’t think we played very smart in that regard but I thought for the whole 48 they were aggressive and they were focused. It was real impressive. The Spurs shot just 40.5% from the field, finding it very difficult to get past the hands of Rudy Gobert. The big Frenchman finished with 3 blocks but changed a lot more shots than just that, scoring 7 points and handling matching up with Tim Duncan very well for most of the night. The Jazz traded away Enes Kanter because they have Gobert, whose main attribute they coveted over Kanter was the price the were going to pay for him next season. It’s also that he’s combining very well with Derrick Favors, at least on the defensive end. Communication was way better and is still getting better. When we communicate, we play great. And we make a lot of hustle plays and great defensive plays, transition baskets and we get going. Duncan is a great player and I know he’s very smart. I knew he was going to try to make me foul and lose my balance. Offensively, it was Trey Burke that caused the most damage for the Jazz, scoring 23 points off the bench. Gordon Hayward scored 18 points, but 10 of them came from the line after shooting just 4-of-15 from the field. It wasn’t a pretty game from the Jazz, shooting just 41% from the field, but it seemed like everyone, including both head coaches, was in agreement that the team’s energy and aggression all over the court made the difference. Quin Snyder is trying to create an identity that will eventually help the Jazz rise from these difficult years and become a playoff team once more and not just a one-off appearance. The Spurs have other worries on their mind, including fatigue, their never ending rodeo trip (going 2-4 so far in it) and the reality of the difficult road ahead when it comes to defending their NBA title, maybe more difficult than they imagined it might be.